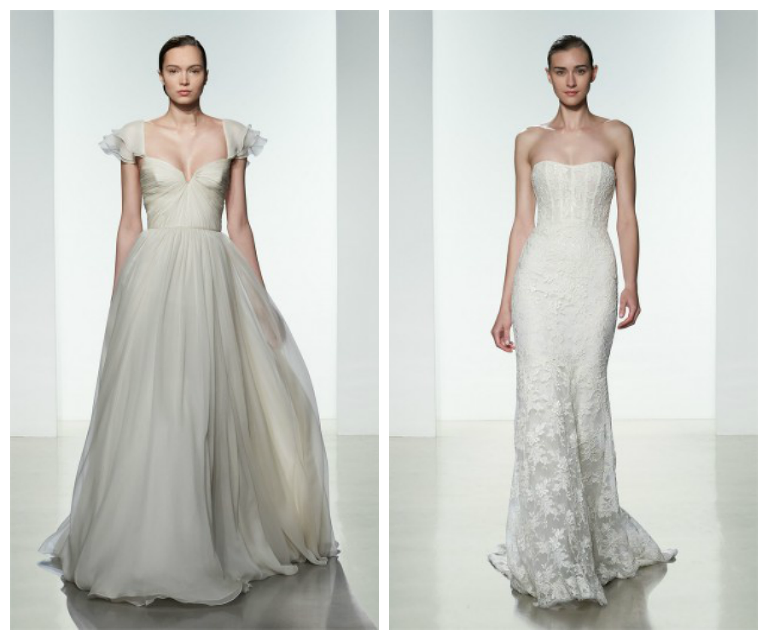 Brides will receive a 10% discount during the trunk show event. Trunk shows are by appointment only. To schedule your appointment, please call 941-316-1615 or email Blush Bridal Sarasota. 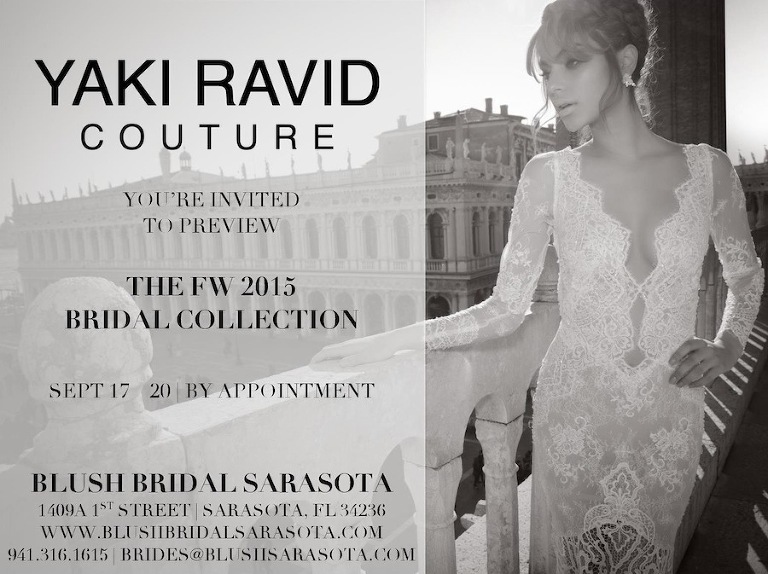 Blush Bridal Sarasota, the west coast of Florida’s premier destination for designer wedding gowns, is hosting the Yaki Ravid Trunk Show, September 17th-20th, 2015. The upscale Sarasota wedding boutique is the only bridal shop in the entire state of Florida to represent this exciting new Israeli collection. These custom wedding dresses are extremely well made with the best fabrics and embellishments. Each gown is made for the bride’s specific body; over 30 measurements are taken to ensure a perfect fit. 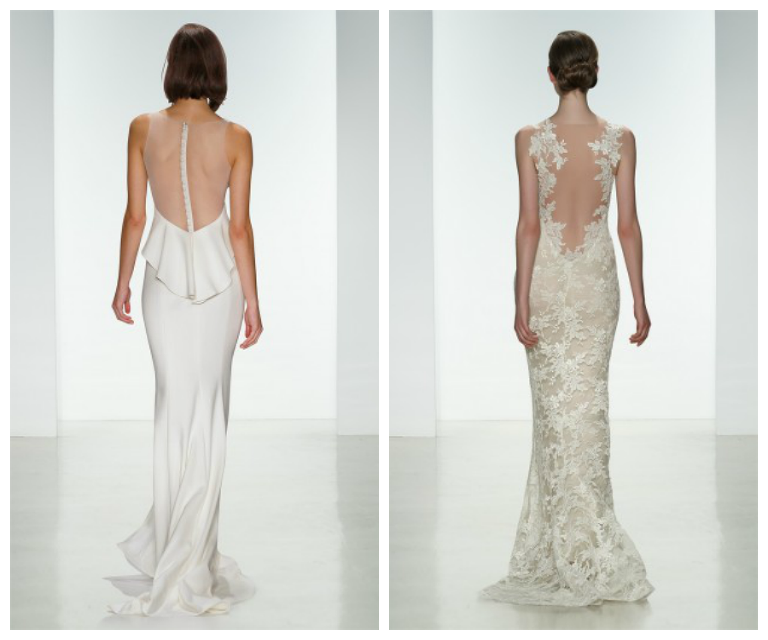 Yaki Ravid gowns range from $6,000-$12,000. 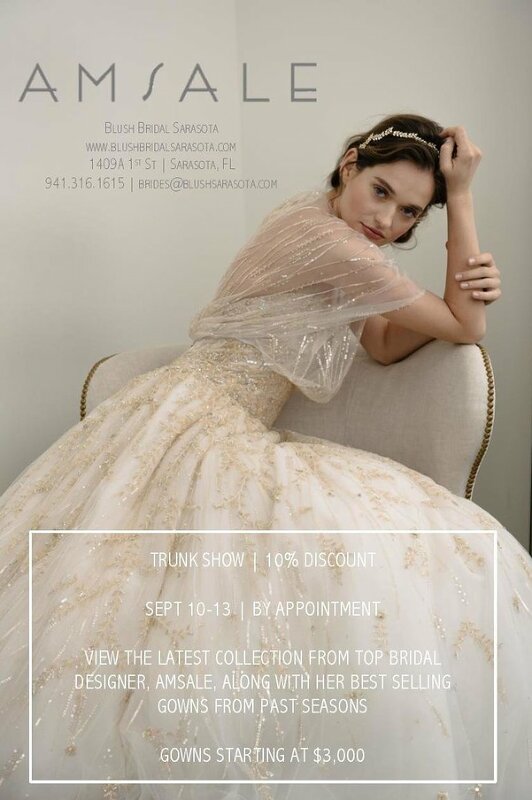 Brides will receive a 10% discount during the trunk show event.